The Lions were heavy underdogs against Randall Cobb, center, and the Packers in Week 10, but won in Green Bay, 18-16. 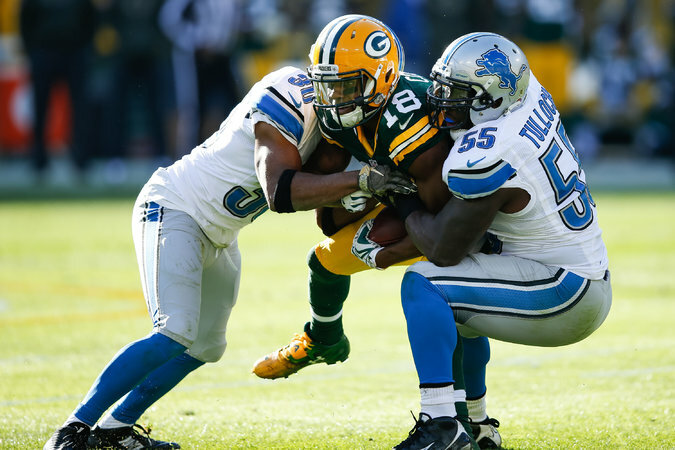 The Green Bay Packers and the Detroit Lions had very different Novembers. How they fare during the first game of December might decide the fate of the N.F.C. North. At the end of October, the Packers were 6-0 and Super Bowl front-runners. Little has gone right for the team since: Green Bay has won only one of their last five games, with the passing game being the biggest reason for the team’s struggles. The Packers have been defined by Aaron Rodgers, but the efficiency of the passing attack has declined significantly since the start of the season. Rodgers’s adjusted net yards per attempt has been trending in the wrong direction.